When you become a member with a donation of $35 or more, you’ll help the Association for Public Art (aPA) bring artists’ visions to life, preserve Philadelphia’s cultural treasures, and invite people to learn more about public art through unique programs and events. 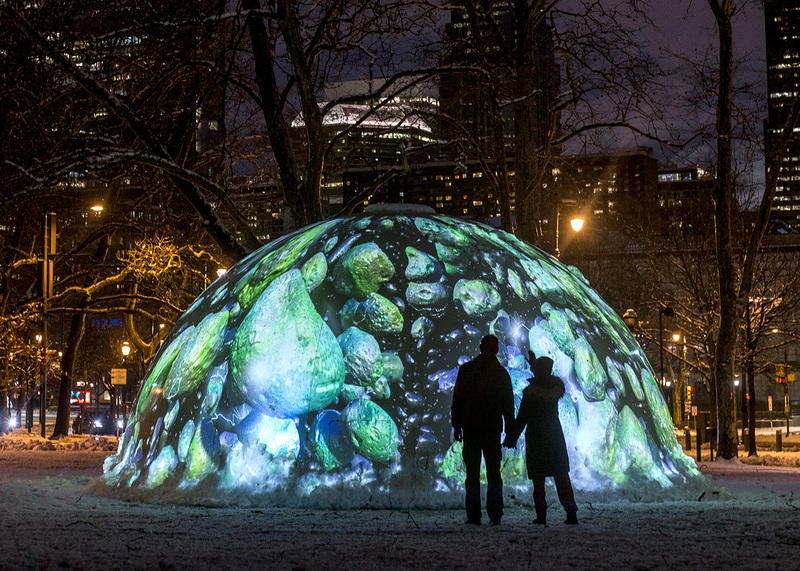 A centerpiece for Parkway 100, artist Jennifer Steinkamp’s four fountain-inspired domes with glowing animations captivated, surprised, and mesmerized audiences on the Benjamin Franklin Parkway. New audiences and art lovers alike marveled at the artwork’s allure that brought people together outdoors, despite the cold weather. Winter Fountains showcased Philadelphia as a premier destination for public art and celebrated the Parkway institutions’ shared accomplishments over the past century. Winter Fountains (2017) by Jennifer Steinkamp was presented December 2017 – March 2018 by the Parkway Council and commissioned by the Association for Public Art (aPA) for Parkway 100, with major support from the William Penn Foundation. For the 36th consecutive year, the Association for Public Art engaged a team of conservators to preserve outdoor sculptures throughout the city. 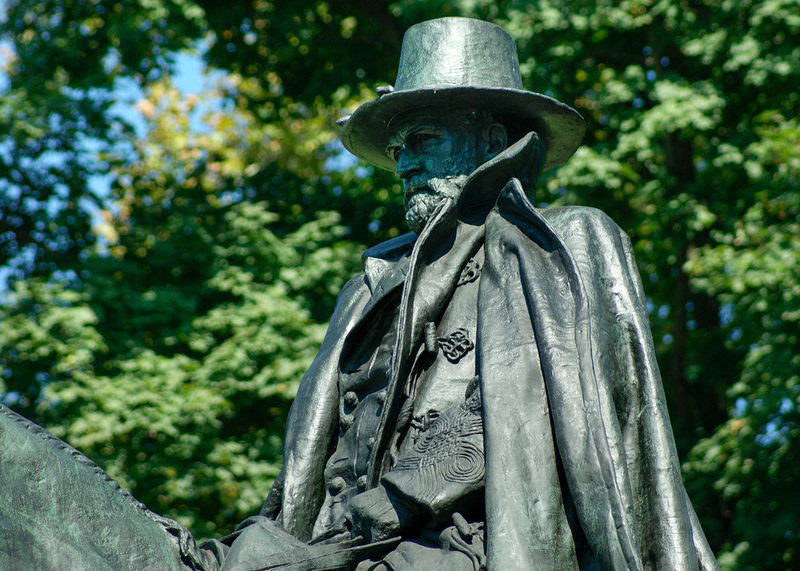 General Ulysses S. Grant (1897) by Daniel Chester French and Edward C. Potter was among the 30+ sculptures conserved in spring 2018. Our conservation efforts arrest deterioration, maintain the sculpture’s aesthetic appearance, and allow its intricate details to emerge. The attention that Grant and other sculptures receive ensures that future generations encounter and enjoy these significant works of art. 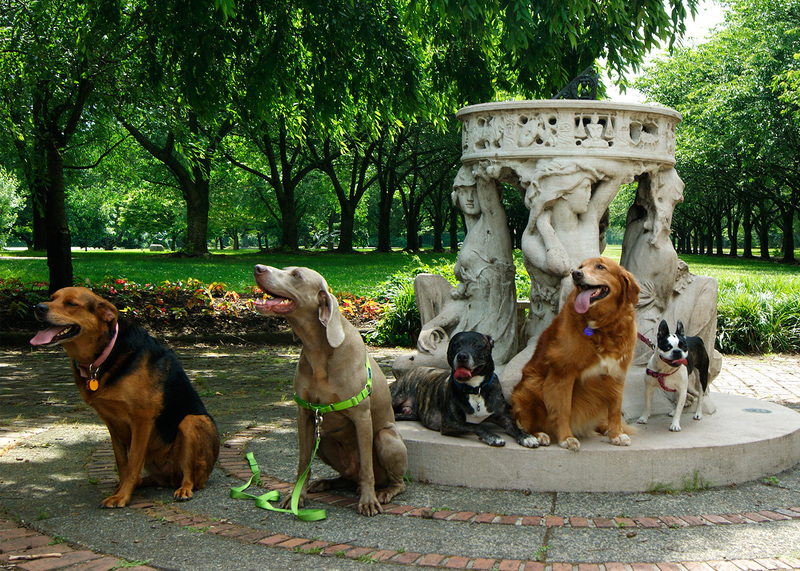 In September, #ArtPup invited dog lovers to share photos of their furry friends with outdoor sculptures in Philadelphia for a chance to win great prizes and be featured on digital billboards in Center City. Photo contest winners will be chosen by a panel of guest judges – including WHYY Reporter Peter Crimmins and Photographer Meredith Edlow – based on quality, originality, composition and appeal. The aPA also hosted a series of of free #ArtPup events with lead supporter Park Towne Place Museum District Residences, including a free Yappy Hour event and a Dog Walk & Public Art Tour. Advance invitations to participate in aPA programs and special events, including aPA’s Annual Meeting in spring 2019. Past speakers have included artists James Turrell, Jody Pinto, Rafael Lozano-Hemmer, and Christo and Jeanne-Claude.